There is growing uncertainty whether SASSA will be able to administer and distribute 17 million social grants when Net1's contract expires. At the end of March, Net1 UEPS Technologies' contract to distribute social grants to 17 million beneficiaries will come to an end; however, uncertainty looms over the future of these payments. SA's social grants are administered and distributed by Cash Paymaster Services and Grindrod Bank, subsidiaries of US-based Net1, after it was awarded a five-year, R10 billion tender in January 2012. The contract expires at the end of March, and it is expected the South African Social Services Agency (SASSA), which is in charge of delivering social services in the country, will take over grant payments. However, it has been reported the agency will not be ready to take on this task, as it is yet to select an entity that is equipped to distribute the payments once the Net1 contract ceases. Bloomberg reports SASSA's first step to appoint a new distributor took place on 13 January. It will be several months before SASSA chooses a winner to distribute the social grants, reported the news agency. The Department of Social Development and SASSA did not respond to ITWeb's questions by the time of publication. SASSA's ongoing issues with Net1 date back a couple of years, with allegations of unlawful dealings and corruption persisting. In 2014, the South African Constitutional Court ordered SASSA to re-issue a new tender for the distribution of social grants in the country. It was alleged Net1 had breached SA's National Credit Act, and that the deal conducted with SASSA was "irregular". The ruling meant the Net1 subsidiary would have to apply for the tender to distribute social grants. Net1, however, announced the withdrawal of its subsidiary from the tender process. It remains unclear why Net1 decided to withdraw from the tender process, but this move prompted SASSA to abandon the process of awarding the contract to another service provider. SASSA decided to be the sole distributor of social grant payments in SA. Meanwhile, as concern over the social grants payments saga continues, scammers are taking advantage and using this time to target SASSA beneficiaries. 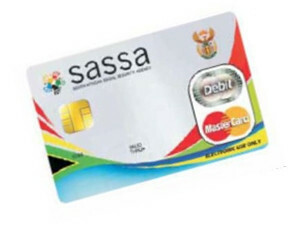 SASSA has issued a warning to beneficiaries about a new card scam. According to the agency, social grant beneficiaries have been inundated with text messages urging them to obtain new cards which are green in colour. "SASSA will never communicate with its beneficiaries through SMS, and beneficiaries are warned not to respond to any SMS that these imposters are sending to them. "SASSA advises all its beneficiaries not to fall for this scam because there are no new SASSA cards and it is not true that beneficiaries should get these cards." Valid SASSA social grant cards are not green in colour, but have the colours of the SA flag and will never be replaced by a card that is green in colour, the agency statement notes. The danger of responding to these scams is that beneficiaries could be stripped of their cash or unusual deductions which they never authorised would come off their grants in the near future, reads the notice.